It is VERY important the applicant follow ALL of the rules and instructions. Only typed, electronic submissions will be accepted. Incomplete applications will not be considered eligible. Make no references to your identity, your local parrot head club or your location in your essay entry OR your question and statement responses. DEADLINE FOR APPLICANTS is MARCH 31st, 2019, for enrollment for fall term (summer terms not applicable). Students may apply yearly; the awards will be given annually, based on a new application process. YOUR Meeting of the Minds 2018 Update!! Hello Parrot Heads! In just over three weeks Meeting of the Minds begins in Key West, Florida!! On October 31st the 27th annual Meeting of the Minds “We are the People Our Parents Warned Us About” will be in underway! 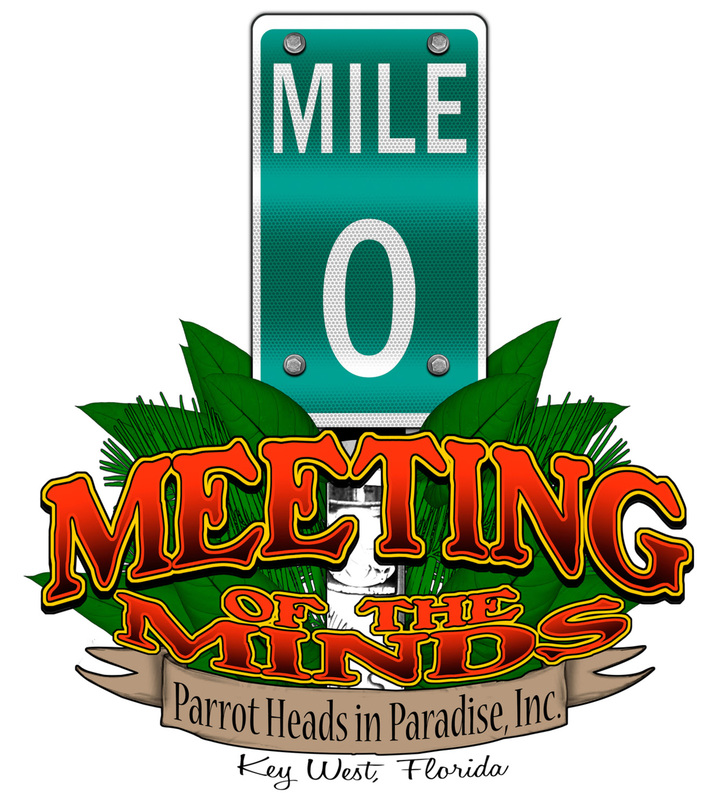 Be sure to tell your Parrot head friends and anyone who may want to be in Key West for the week of MOTM if you missed regular registration there will be ON SITE REGISTRATION! YOU MUST REGISTER TO SEE ALL THE EXCLUSIVE ENTERTAINMENT AT THE CASA MARINA! WE HAVE AN AWESOME MINI MART PLAN THIS YEAR! WE HAVE $3.50 LAND SHARK BEER AT THE HOTEL…WE HAVE $5 MARGARITAVILLE MARGARITAS AT THE CASA DURING MOTM…WE HAVE CORAL REEFERS…WE HAVE TONS OF YOUR FAVORITE BANDS AND ARTISTS PLAYING ON OUR STAGES….MAGIC ACTS, MUSIC, KILLER RAFFLE PRIZES, BANDS, BANDS, BANDS…WE HAVE SIGNED JIMMY BUFFETT ITEMS FOR YOU AND MANY OTHER THINGS TO BID ON TO SUPPORT PARROT HEADS IN NEED…IT IS “THE” PARROT HEAD CONVENTION AND WE WANT YOU THERE! First you MUST be a Parrot Head Club member to attend MOTM. You know we verify EVERY club member who attends every year. This is an IRS requirement. MOTM 2018 REGISTRATION CLOSING IN 15 DAYS!! Hello Parrot Heads! Happy Labor Day! Can you believe there are only 15 days until registration for Meeting of the Minds closes? Please don’t email me in late September and say you missed the deadline! At midnight we have to close registration for the year! TELL YOUR PHRIENDS…RING THE KIDS!! PHONE THE NEIGHBORS….REGISTRATION FOR MOTM 2018 is WINDING DOWN! Don’t miss MOTM 2018 as it is going to be a great time in KEY WEST! All we need is YOU! YOUR REGISTRATIONS AND OUR SPONSORS PAY FOR THIS EVENT. THANK YOU FOR REGISTERING AND SUPPORTING OUR SPONSORS!!! WE NEED YOUR REGISTRATION DOLLARS TO MAKE MOTM HAPPEN EACH YEAR! Be sure to register for Meeting of the Minds 2018 now and book your travel! Don’t delay as we close registration on September 15, 2018 or when we reach our sell out target of 3,500! WOW the MOTM 2018 schedule is getting better by the day… Coral Reefer Band Member and CMA Musician of the Year for almost a decade now Mac McAnally will be on stage not only on Saturday night but also with the Peter Mayer Group on Thursday! They will be joined by Coral Reefer Eric Darken on percussion as well as the normal band! Where else are you going to see a value like this surrounded by TONS of great music for 5 days?